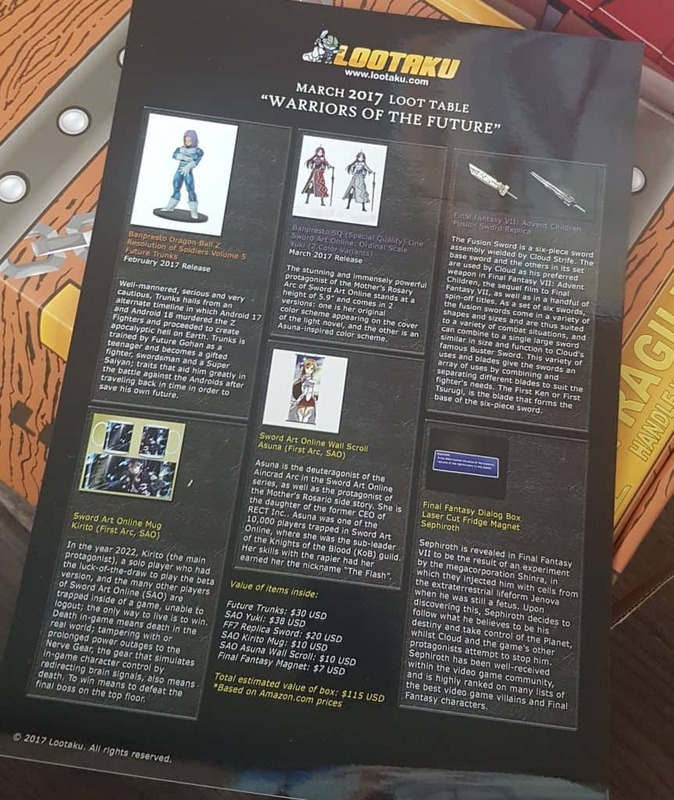 This month’s theme is ‘Warriors of the Future’ and features Dragon Ball Z, Sword Art Online, and Final Fantasy. Apparently one of the items was held up at customs so they shipped out slightly later than usual. But never mind, it’s here, and it’s still March. Let’s jump in. In February they slightly redesigned their box, and while it might be a daft thing to talk about, I think their box is fantastic! 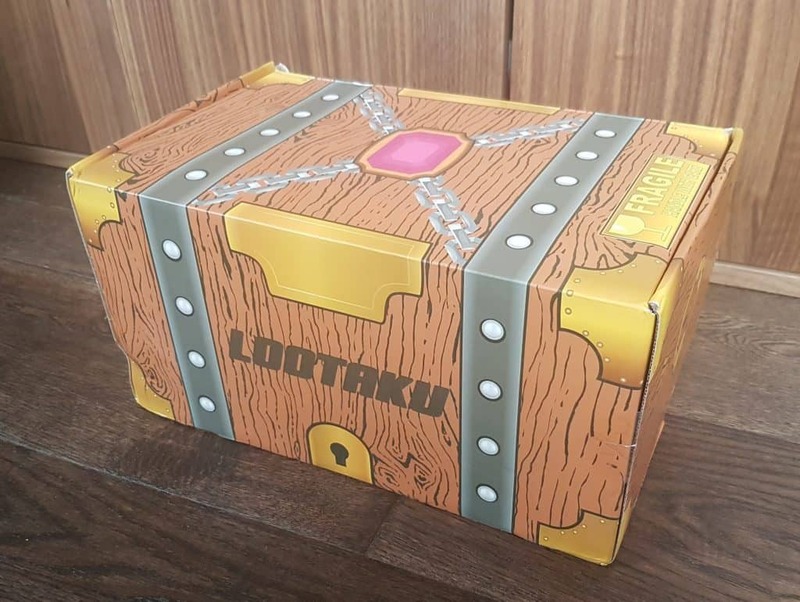 It look incredibly cool, like a treasure chest, and I’ve never had a single thing arrive even slightly damaged. OK, I’m a geek, I think this is awesome. Anyway, enough excitement about the packaging, on to the actual contents. This is what I saw when I opened it up. I can see the three themes mentioned. And I wonder what that thing on top is. One thing about Lootaku, they oftem contain completely unexpected and unusual items, so it could be almost anything. Wow. 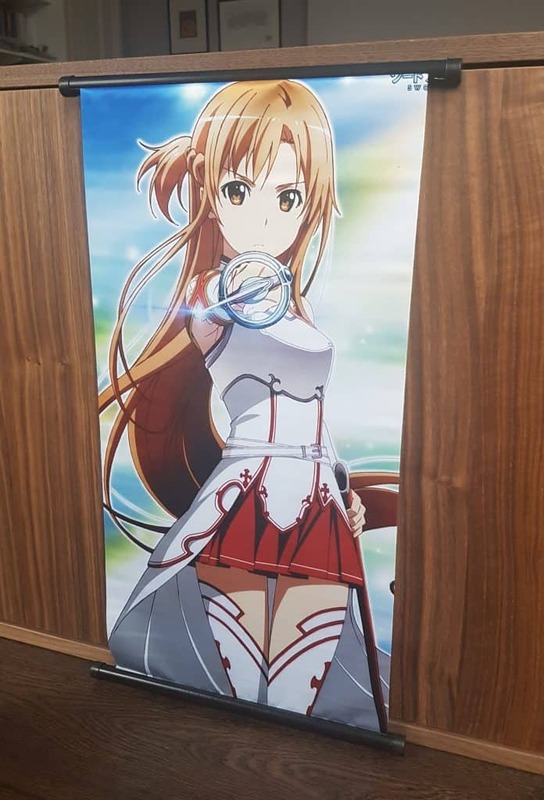 This is a Wall Scroll featuring Asuna from Sword Art Online. It’s made from a silky material with the picture printed on, and there are two hooks on the top. It measures 24” x 12”. I had to hook it above the doors of my credenza to show it unrolled, but I think it works pretty well. 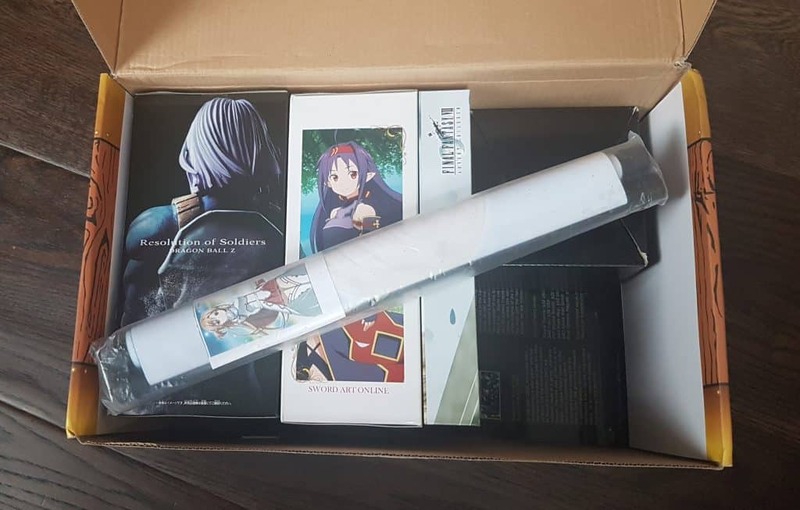 It’s about a half metre long, and would look awesome hanging on the wall (with the appropriate hooks of course).A bit of trivia: Sword Art Online was originally a set of light novels, which have been adapted into manga, anime, an video games. Asuna is a pretty popular character. This really is something. It’s a Fusion Sword replica from Final Fantasy VII. It comes with a tiny allen key and screws to assemble in its various iterations. I confess I haven’t actually done that yet, but hopefully the instructions will be fairy easy to follow. And I love DIY. But anyway, it’s a really clever little replica item, and beautifully presented. Here is the first of the two Banpresto figures in this box. 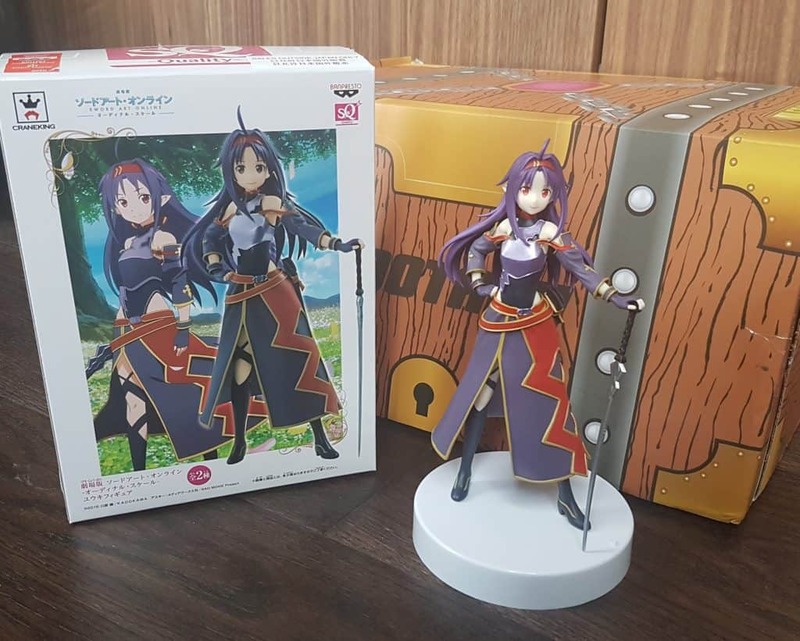 This is an SQ (Special Quality) Line figure of Yuuki, the protagonist of the Mother’s Rosary arc of Sword Art Online. This was one of two colour options of this figure: this one is the original colour scheme as portrayed on the cover of the novel. The other option in some boxes was a blue and silver Asuna-inspired theme. A great full-size figure complete with sword and scabbard accessories. As always, Banpresto figurines are incredibly impressive, with superb attention to detail. 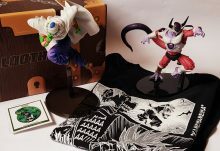 Here is the Dragon Ball Z offering. Again a beautifully detailed figure, of the easily-recognizable Trunks. 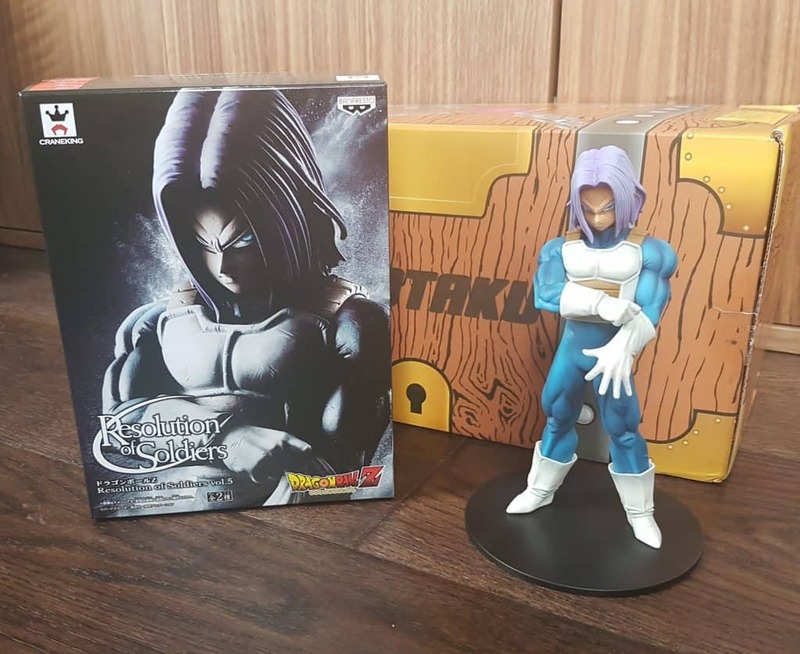 This edition,released in February this year, is Future Trunks from Resolution of Soldiers Volume 5. A nice mug featuring Kirito from Sword Art Online. It doesn’t do anything fancy except hold your hot beverage of choice and proclaim your fandom. But it’s a nice mug, good quality, and the picture wraps around pleasingly. And you can never have too many mugs. A cute little bonus here. 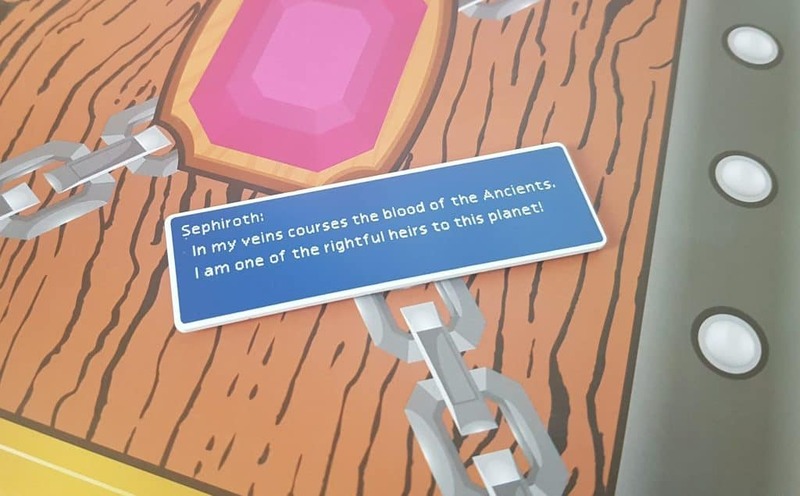 This is a laser-cut fridge magnet featuring a quote from the Final Fantasy villain Sephiroth, in the incredibly cool form of a dialog box! 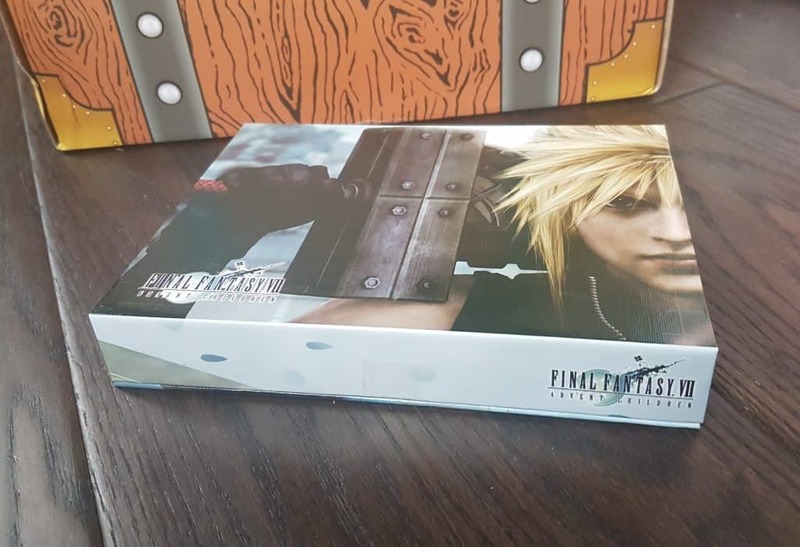 It’s a small discreet thing, but guaranteed to catch the eye of any fellow Final Fantasy fan! And finally, the menu card. Prices and values on the Lootaku website are given US dollars. A one month subscription is $44.99 (three and six month subscriptions are cheaper). According to my currency converter this is £35.87. Shipping is $17.66 (£14.08). Slightly pricey, but this is really is a premium box, there’s never any promotional freebie filler crap. Also it’s coming a long way. I couldn’t find this exact one for sale anywhere, though there were some similar ones with characters in a slightly more, ahem, unclothed state. It seems that scantily-clad anime character wall decorations are rather a thing. Anyway, this is a guesstimate, but fair I think. No trace of this on any UK site. The cheapest I could find in USD converts to this price. P&P is not included. Well, holy cow. This is a pretty impressive total. Now then, by scouring eBay and ordering from various overseas sites you may be able to find one or more of these items at a lower price than I’ve given. That said, Banpresto figures ain’t cheap, and shipping and customs are always an issue. So overall I would say this value is exceptionally good, and Lootaku is always great value. 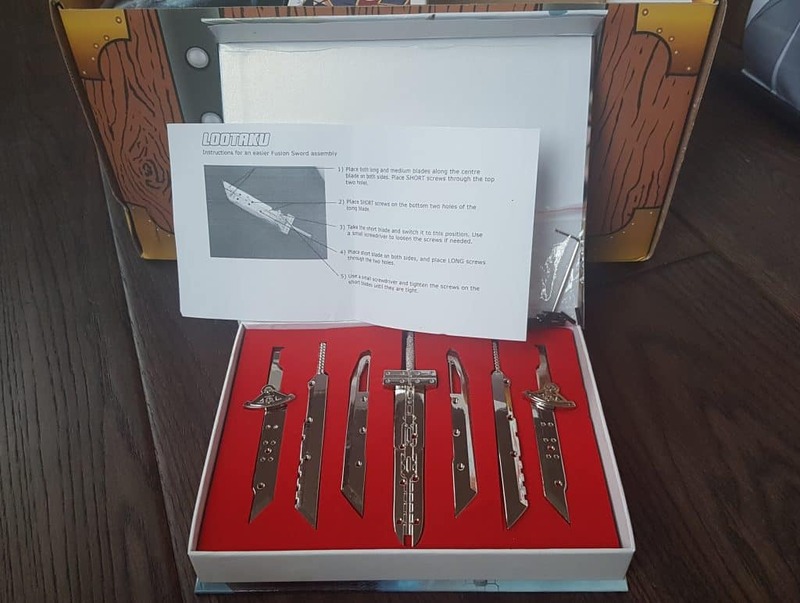 In conclusion, this is another great box from Lootaku. 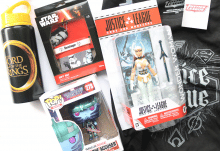 There is an excellent variety of items, and having two premium figures is a treat. I love having something practical in a subscription box, in this case the mug, and in my opinion you can never have too many mugs. 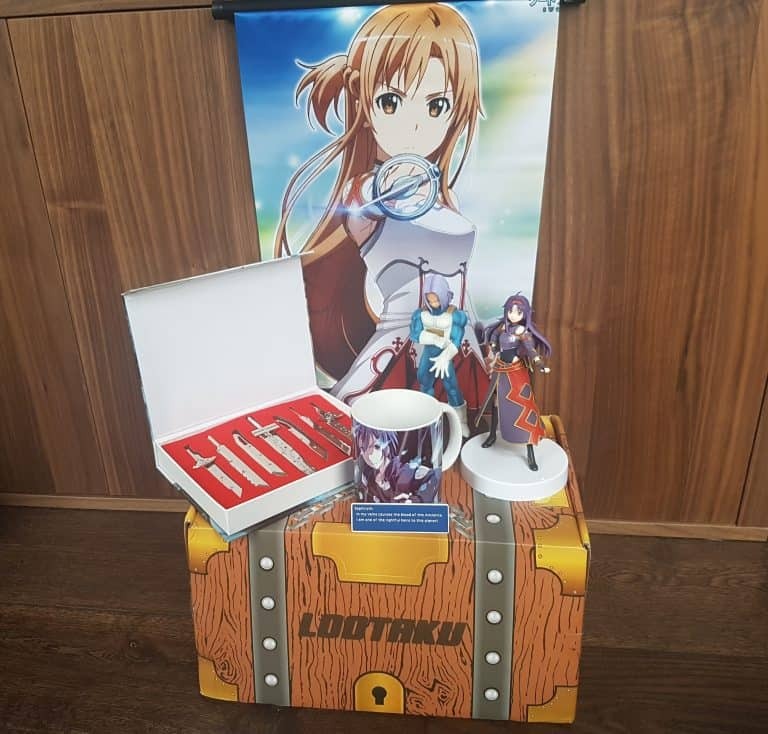 It’s worth repeating that Lootaku never include any filler items, such as random freebies or useless tat (I’m looking at you Loot Crate). Even the magnet, which is their lowest value item, is a fun quirky item that doesn’t feel like it’s just been thrown in to make up the numbers. Also I couldn’t find this exact one anywhere, so it may have been custom-made for Lootaku, which shows they’ve thought about it. As always Lootaku is very anime/manga heavy. They’ve included in the past items from other themes (I’m never going to stop raving about the amazing Harry Potter and Game of Thrones boxes) but in general you’re looking at things from the Asian market, which makes sense because this box is from Hong Kong. The only minor quibble I have is that their boxes sometimes arrive a little late. They are coming a long distance, and I know they’ve had customs and supplier issues in the past, and because of their clear dedication to high-quality contents it’s probably to be expected. It’s not anywhere a deal-breaker, or even something to really moan about, but it’s really the only thing that isn’t 100% awesome. 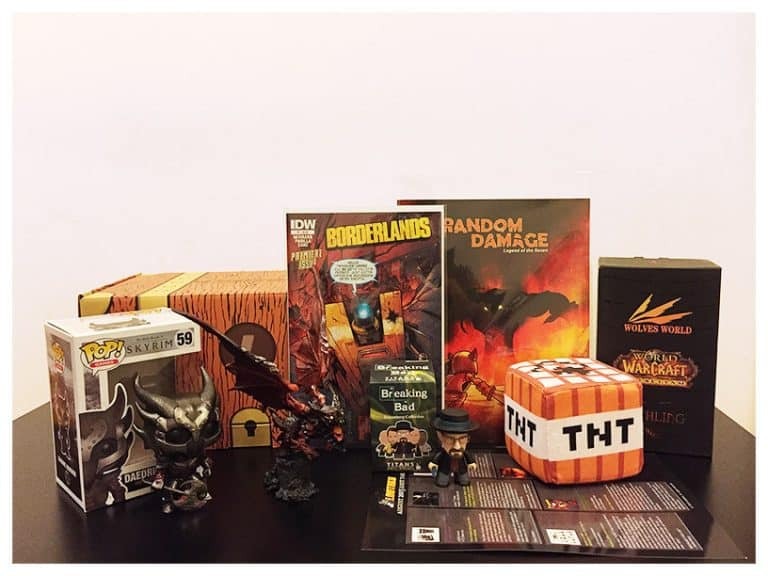 But hey, if premium Asian goodies plus the odd other cool franchise are your thing it’s totally worth it. No cheap and nasties, no random things chucked in to take up space, just quality collectibles.